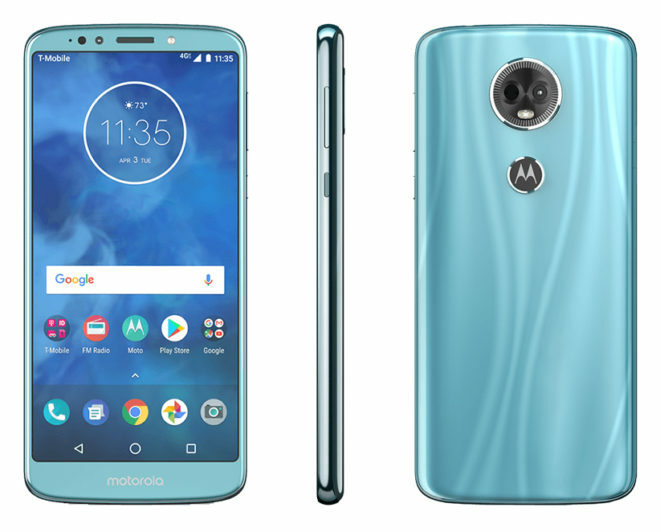 Just as expected, two new Motorola phones have launched on T-Mobile. The Moto E5 Play and Moto E5 Plus are now available from T-Mobile. The Moto E5 Play is priced at $6 down and $6 per month for 24 months, $0 down and $7 per month on JOD, or $150 full retail. Meanwhile, pricing for the Moto E5 Plus is set at $9 down and $9 per month for 24 months or $225 full retail. The E5 Plus is not available on JOD. When it comes to specs, the Moto E5 Play runs Android 8.0 on a 5.2-inch 1280×720 display. It’s got 8MP rear and 5MP front cameras, each with its own flash, 16GB of built-in storage, and a microSD card slot. Other specs include a quad-core Snapdragon 427 processor, 2GB of RAM, a 2800mAh battery, a 3.5mm headphone jack, a fingerprint reader, and a water-repellent coating. The Moto E5 Plus is the higher-end of the two, boasting a 6-inch 1440×720 screen, 32GB of storage, and a microSD slot. It’s got 12MP rear and 8MP front cameras, an octa-core Snapdragon 435 processor, 3GB of RAM, a fingerprint reader, a 3.5mm headphone jack, and a water-repellent coating. It’s running Android 8.0 and is powered by a huge 5000mAh battery. One other detail about both phones that’s worth mentioning is that they support T-Mobile’s 600MHz (Band 71) LTE coverage. This coverage reaches farther and is better at penetrating buildings than mid-band LTE, and T-Mo has it more than 900 cities across the U.S. Here’s the full list of LTE bands supported by these new phones: 1, 2, 3, 4, 5, 7, 8, 12, 13, 14, 17, 25, 26, 29, 30, 38, 41, 66, 71. Motorola’s Moto E line of phones are known for being solid, affordable Android phones, so it’s good to see new models launching on T-Mobile. It’s also great to see more 600MHz LTE phones hitting T-Mobile and giving more customers the chance to accessed T-Mo’s improved coverage. Are you going to snag either the Moto E5 Play or Moto E5 Plus? The play is $0 down, $7m plus tax, and the plus is not available on JOD. Just confirmed with T-Mobile. As Andrew said, the Moto E5 Play is $0 down and $7 per month on JOD and the Moto E5 Plus is not available on JOD. I guess T-Mobile is not doing JOD any more for $200+ phones even for grandfathered JOD customers. 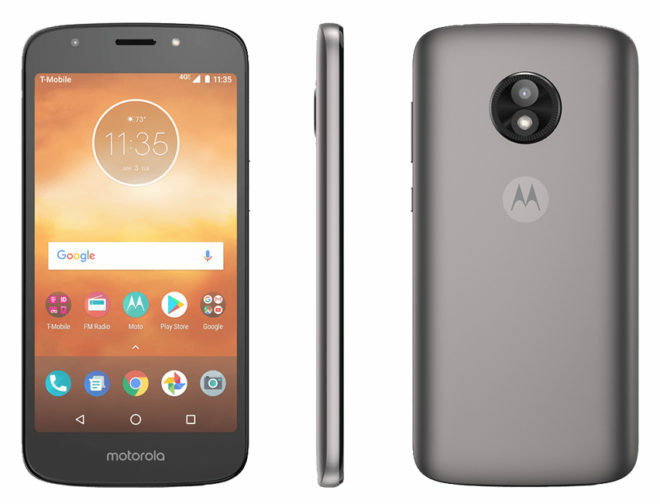 LG Stylo4 and now moto E5 plus not eligible for JOD. We’ll find out when Note9 is announced. I’ll wait for a Moto G6S plus when it comes out. Any opinions on the Moto E5 Plus versus the LG Stylo 4? I know the Moto has 3 gig of ram. No NFC though. Band 71 (600MHz) has been a long running marketing scam. It will be four years before most people will access it. If you look at their current map, the number of towers installed is extremely small and spread out far apart compared to the tens of thousands of towers in existence. Only looks like they have 100 towers done over this past year! Not even a scratch. And they are only doing semi rural areas which need the band for long distance rural coverage. Good luck to the 95% who actually need it. No offense to rural residents, you really do need it. But T Mo is playing a pathetic slow game where they are not realizing a Band 71 rollout like we are brainwashed to believe.